Located minutes away from the University of Florida in the heart of Gainesville inside the Oaks Mall next to Belk, there is a place where women and men from all walks of life gather together to experience wholesomeness of richness and at the same time indulge themselves by pampering their feet and hands. Nail1st – The nails salon and spa is one of the credulous locations in the heart of Gainesville, FL where people have been seeking our services to augment their style statements and exuberate a sense of fashion and vogue. From the moment you step in our state-of-the-art salon to the moment you walk out, you are ensured to experience a service that till date remains incomparable with any other service. With impetus laid on the variety of services we offer, you as our client are ensured to receive nothing but the best. For a complete rejuvenating experience where you will be able to treat your feet and hands to exquisite care, there is no other place other than Nail1st where you will be able to get the best of manicures and pedicures. 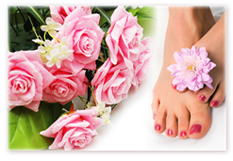 Our complete range of service varies from artificial nail care to fill-ins and waxing. 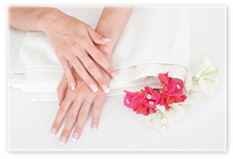 At Nail1st Nails and Spa, we are committed to providing an exceptional attention to detail in all our services. We also offer acrylics, manicure, pedicure and waxing. If there is anything that you need in Gainesville, FL to help you boost your appeal, Nail1st has it. The staff at the Nail1st salon and spa have years of experience and are trained proficiently well to know and understand what your requirements are. It is for this reason that we focus largely on maintaining customer relations in an attempt to provide you with the highest degree of services. You can either make an appointment with us or simply walk through our doors for an experience of a lifetime.